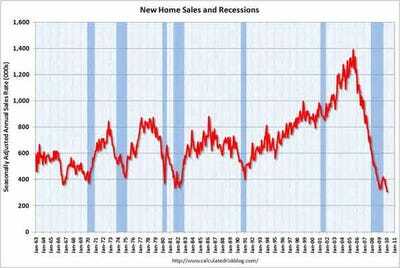 February New Home Sales: Worst. Month. Ever. You already know that February new home sales were a disappointment, but here’s a little more perspective courtesy of Calculated Risk. Seasonally adjusted, this was the worst month of all time. Ever. We’re talking 6% worse than January of 2009.